HighStepMarching.com celebrates high step marching bands! 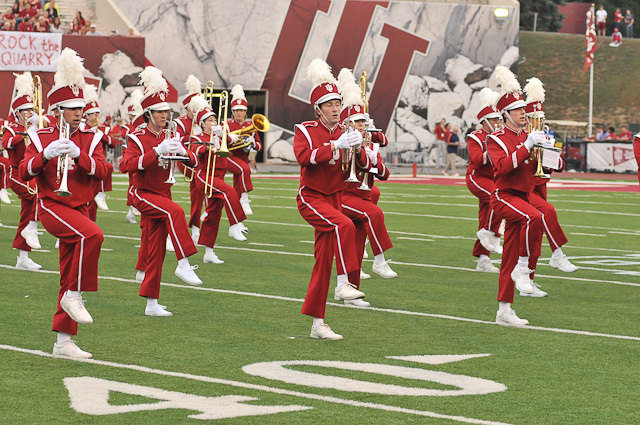 High step marching is a high-energy, high-effort, crowd-pleasing style of marching. 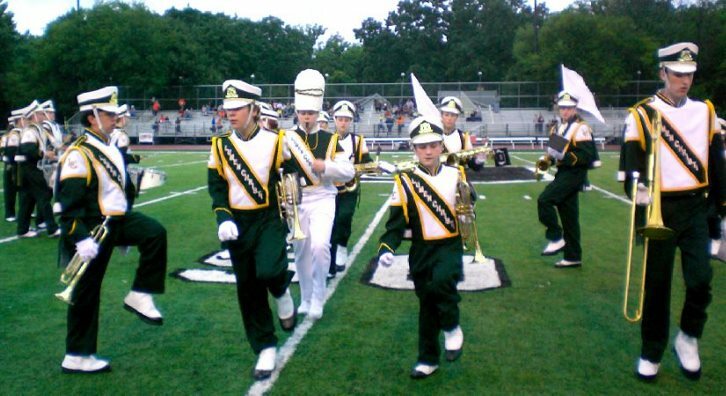 When combined with the strong sound of full marching band, it helps create field shows that brings audiences to their feet. 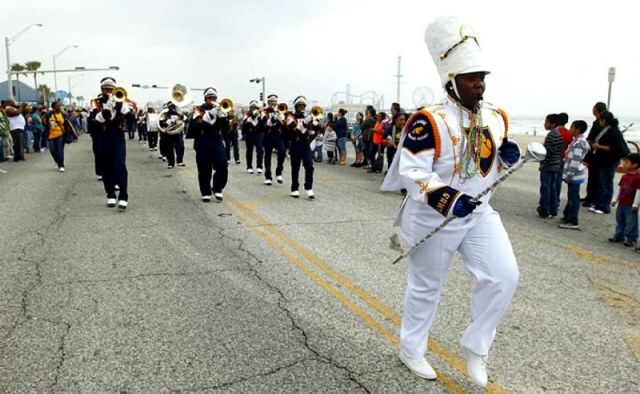 Many bands still march high step, even though many have transitioned to corp style in recent years. 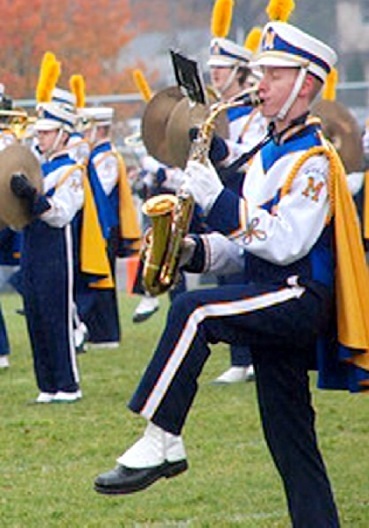 High step marching is more challenging than other styles, requiring more effort by the marcher. The musician needs to not only play their instrument well, but needs to be able to lift their high on every step and make sharp turns. It is a very athletic form of marching and the musicians get in great shape. While it requires more effort, it is much more exciting for the audience. Band directors that choose high step teach showmanship and lead bands that entertain crowds of all kinds, especially football crowds. Corps style is generally appreciated by band people to the exclusion of most other crowds. 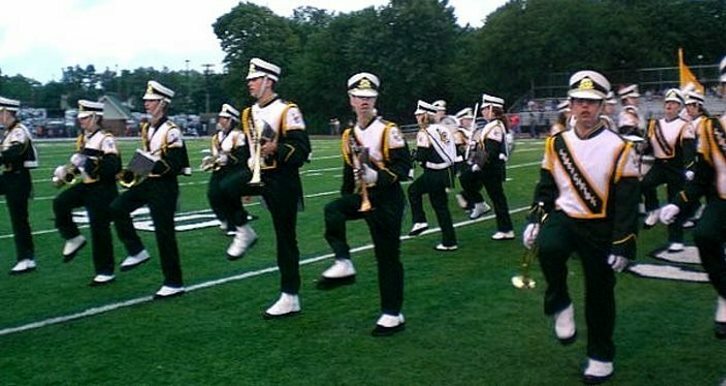 High step bands often do not go to competitions, but focus on being part of their schools. 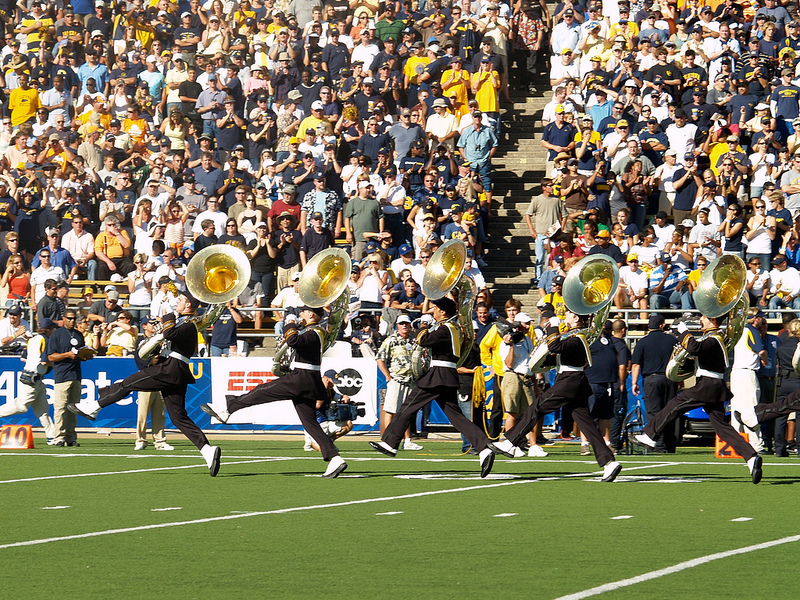 This allows a band to learn and perform more music and often put on a different show at each football game, which is far more entertaining for the crowd. This site is not about pitting high step versus corps style, though the difference are stated to show the contrast, nor about putting down corp style. There are modifications where a high step band borrows from corps style and vice versa. 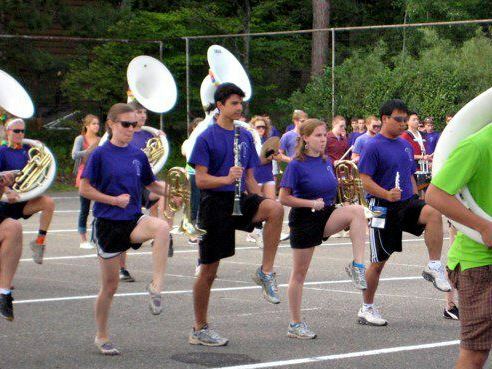 A corps style band may use a high step mark time. High steps bands use corps marching for parades or for slow melodic songs. It is simply about celebrating high step bands.